I haven't done a shoe rotation / review in a while, but my stable has changed a little bit this year so it's time for an update. I have already praised the Kinvara 5 multiple times. It remains my favorite all-around shoe of all time. I haven't worn the Kinvara 6s yet, but trusted sources have told me they are just as good. Back in the fall, Andrea suggested that I try the Cortana. I've heard the Cortana 4 described as a "beefed-up Kinvara" and I would say that is an accurate assessment. 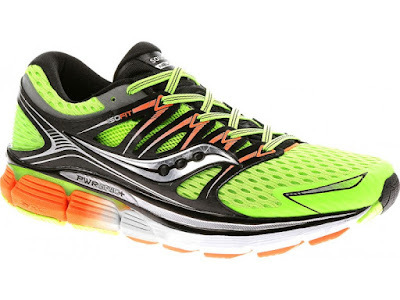 It features the same fit and geometry (4mm drop) but has a bit more cushioning and protection. I found the Cortana to be my "go-to" shoe over the winter when it was colder outside and I was running on more roads than softer surfaces. I have about 500 miles on my current pair and I'll definitely be keeping this model in my rotation. A month ago I starting phasing in a pair of the Breakthru. This is a simple, lightweight trainer with an 8mm drop. 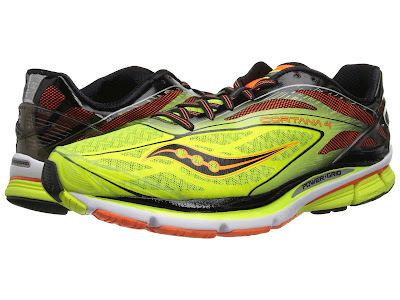 I think this will make an excellent tempo run / fast long run shoe. I've only put about 40 miles on them, but so far, so good. Now for the super-duper-star of the group: Triumph ISO. I'll be honest, the $150 price tag is an immediate deterrent. Can you really tell the difference between a "luxury" model like the Triumph and a (more basic) cushioned shoe like the Ride 7/8? In this case, YES! When I'm heading out of town for a few days and I'm only taking one pair of running shoes with me, I've been grabbing the Triumph ISOs before my Kinvara 5s recently (sorry Kinvara - it's not personal). I've put about 250 miles on my Triumphs so far. The ISO-Fit system is unreal - I've never had a shoe that conforms to the foot so well - it is truly a luxurious feel, especially in the midfoot. Soft, yet supportive. The Triumph is also surprisingly light for how cushioned it is - you really notice the extra cushion in both the heel and forefoot. Flexibility is the other thing that I have noticed - on par with a much more minimalist type of shoe. 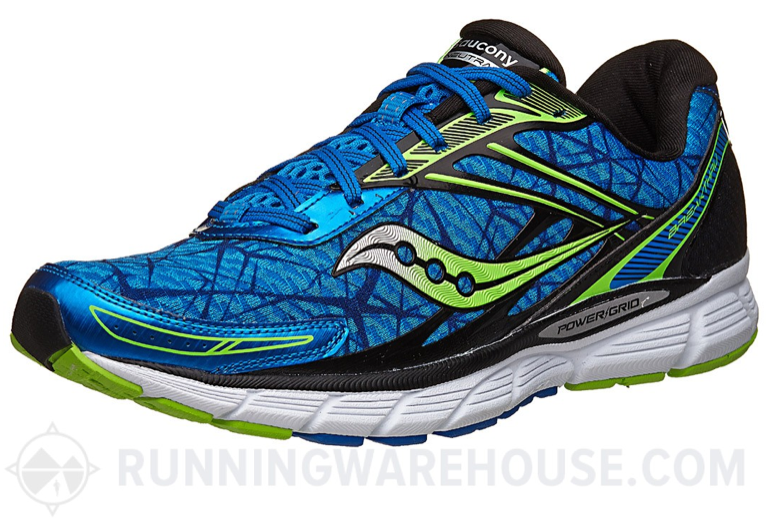 You should expect all of these things in a high-end shoe, and Saucony definitely delivers with the Triumph ISO. So my current rotation is: Kinvara / Triumph / Cortana / Breakthru. I'm looking forward to trying the Nomad TR as a possible upgrade to my Peregrines for trail runs. Great minds think alike! I'm in the same 3 for daily training. I've heard rumors that the cortana 4 will be phased out this fall as it's so similar to the new Zealot in terms of a lightweight neutral trainer. When you get a chance try the Fastwich 7, they feel like butter when your clipping along. I hope your training is going well. Can't wait to follow another buildup/marathon cycle on the quest for an OTQ.